Earlier in the month the caucus held a similar town hall gathering in Waterbury where more than 100 people participated. 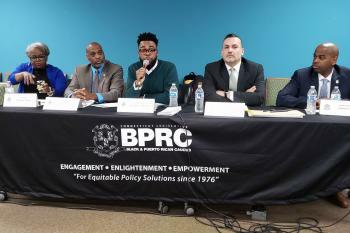 “We need the direct input of the public so that we can pass legislation and policy initiatives that help our communities across Connecticut,” McGee said. “The caucus plays a very important role in shaping major policy initiatives. We want to advocate and lead legislation that in the long run will benefit all people of Connecticut,” Rep. Geraldo Reyes of Waterbury, the caucus vice chair, said.